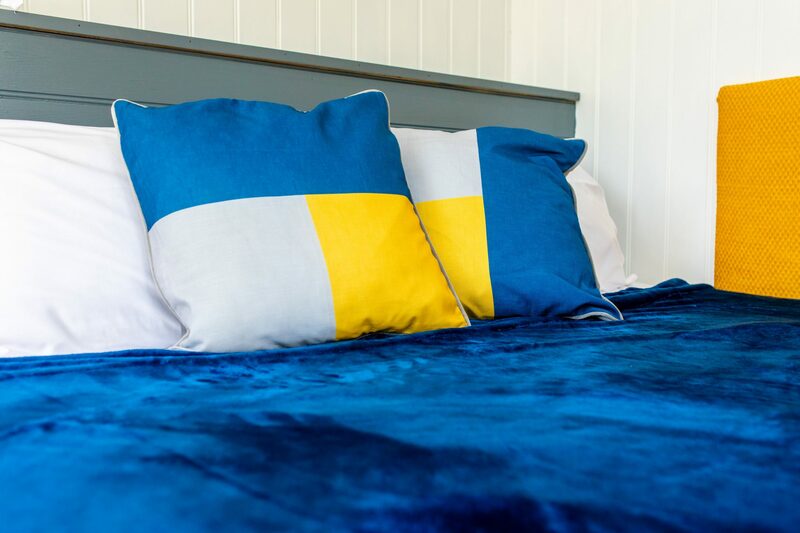 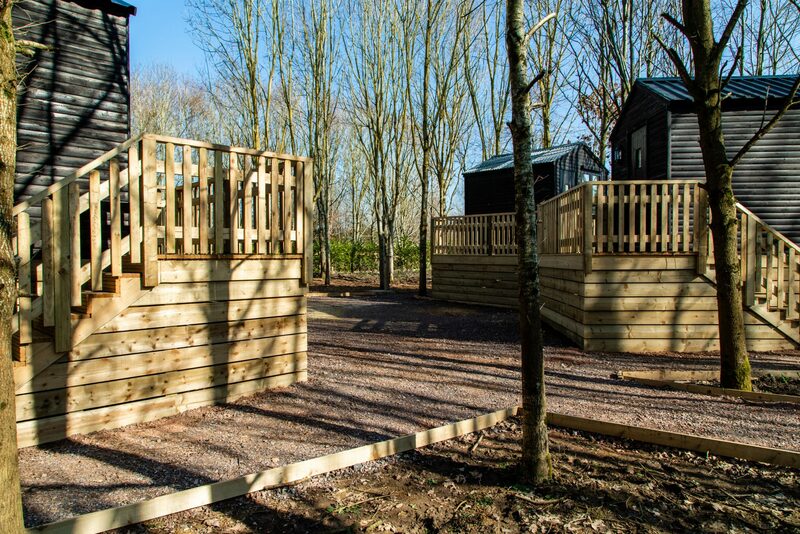 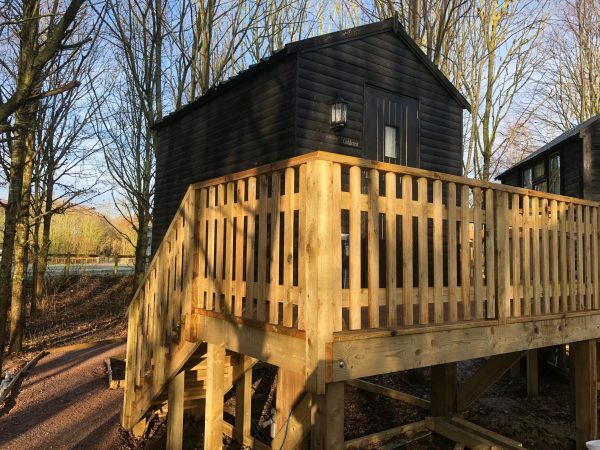 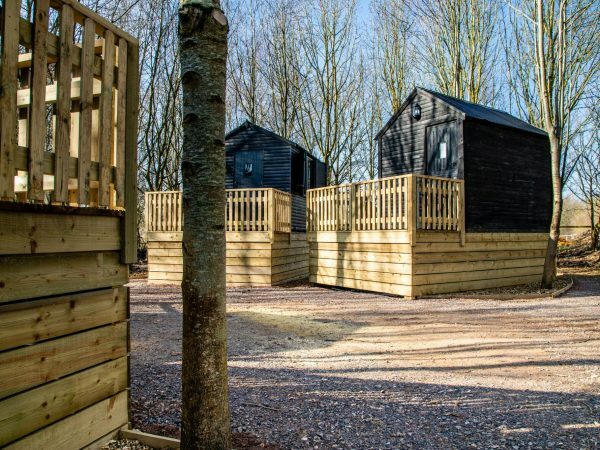 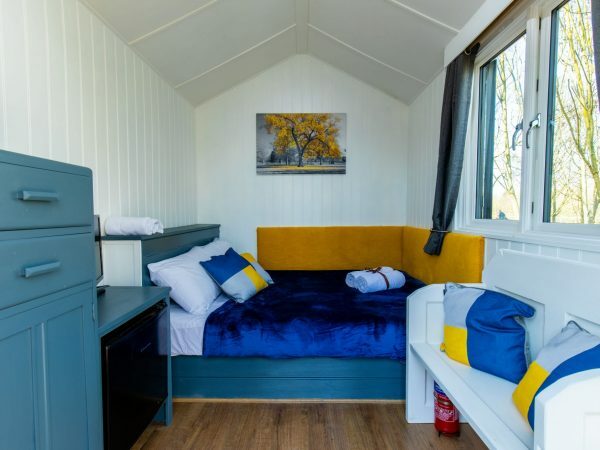 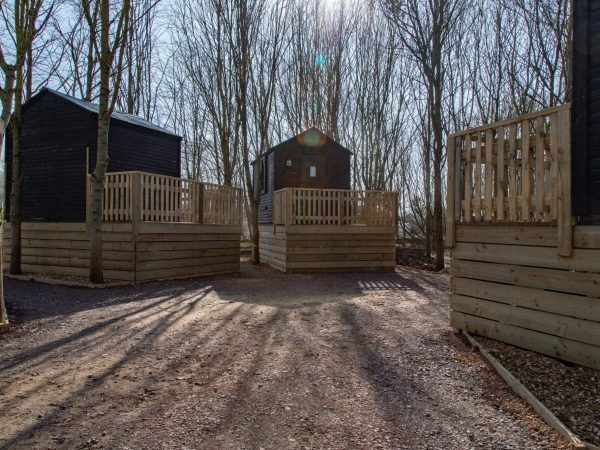 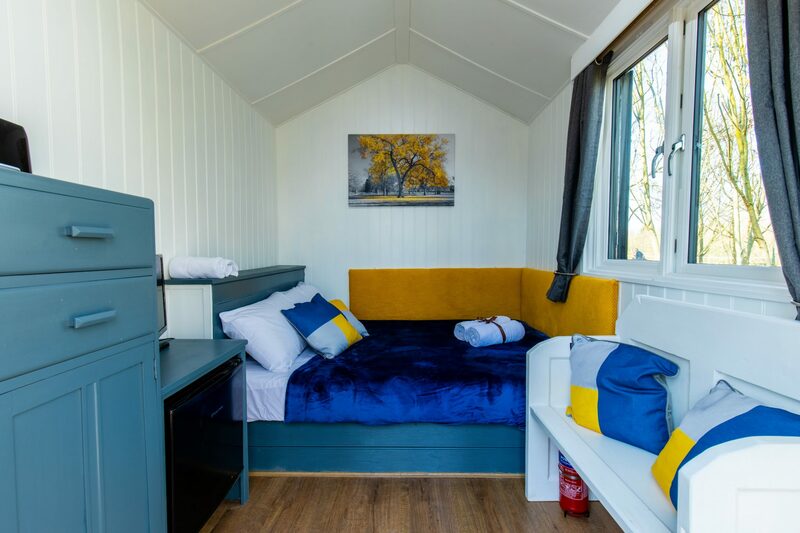 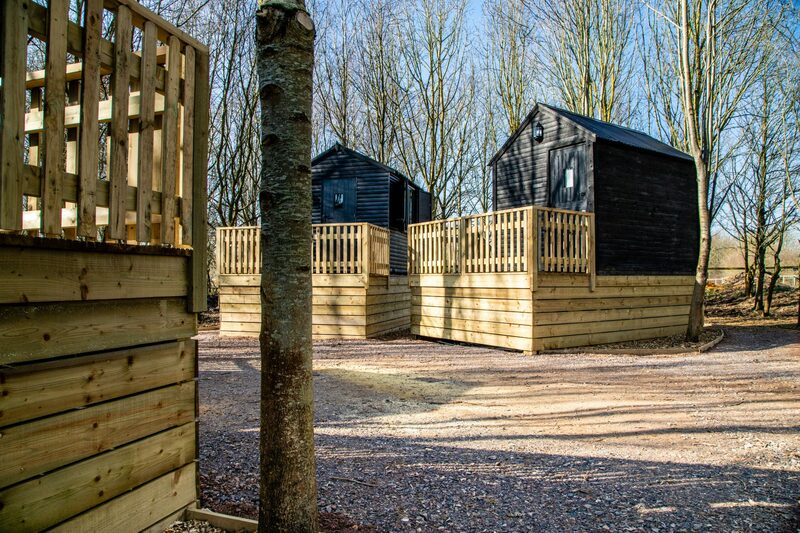 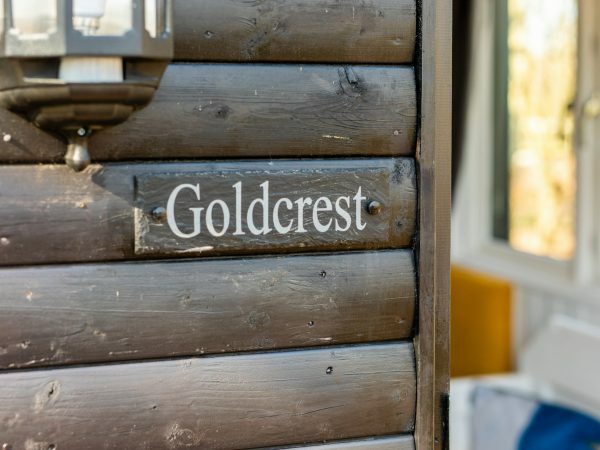 We have four beautiful Treehouses available for booking from March 2019, and are an ideal Glamping Experience with a lot more style than a tent! 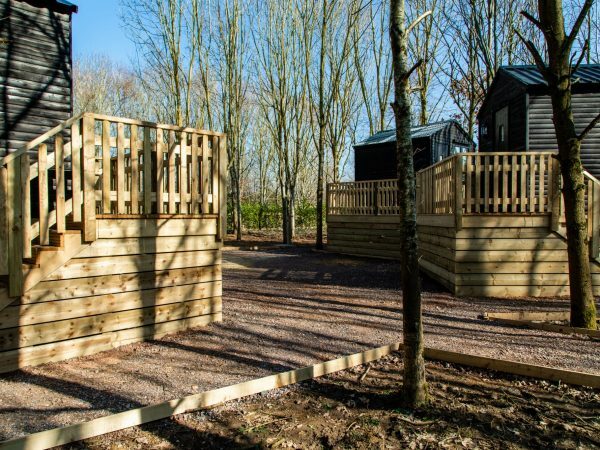 Set in their own woodland area they are 2 metres above the ground each having a balcony with steps leading up to the accommodation. 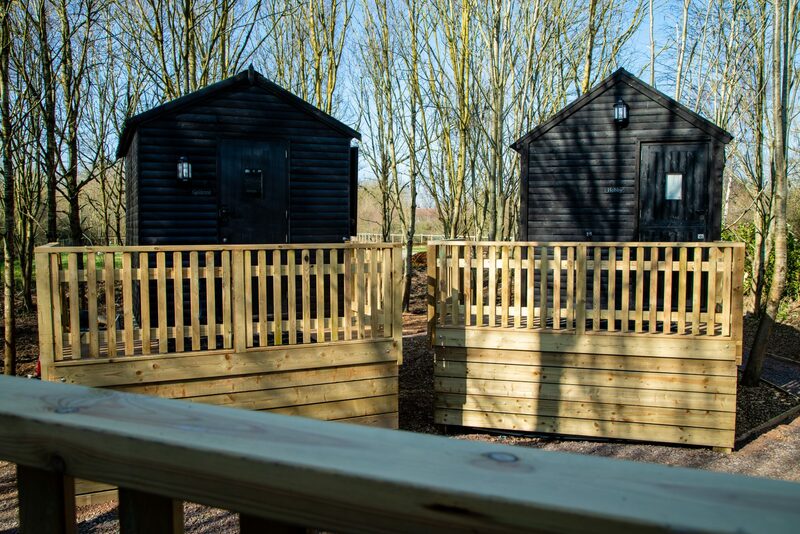 Each hut has a queen sized double bed and room for a travel cot. 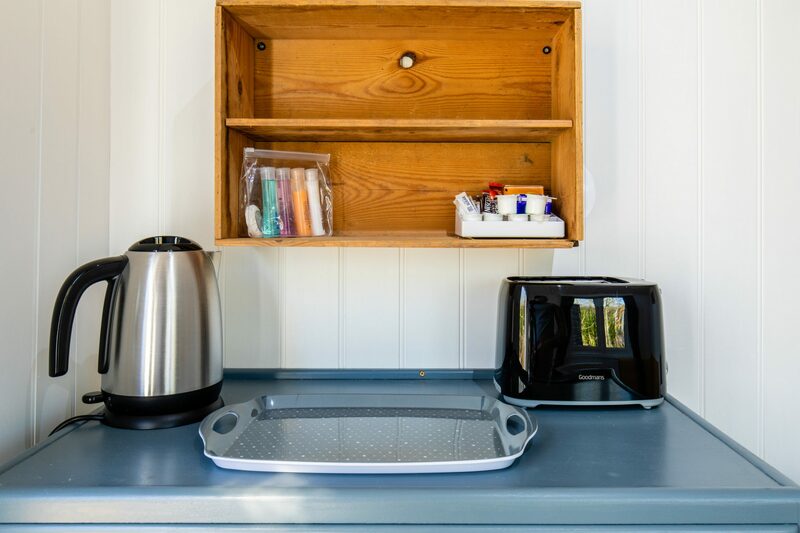 There is a kettle and fridge in each house plus Freeview TV. 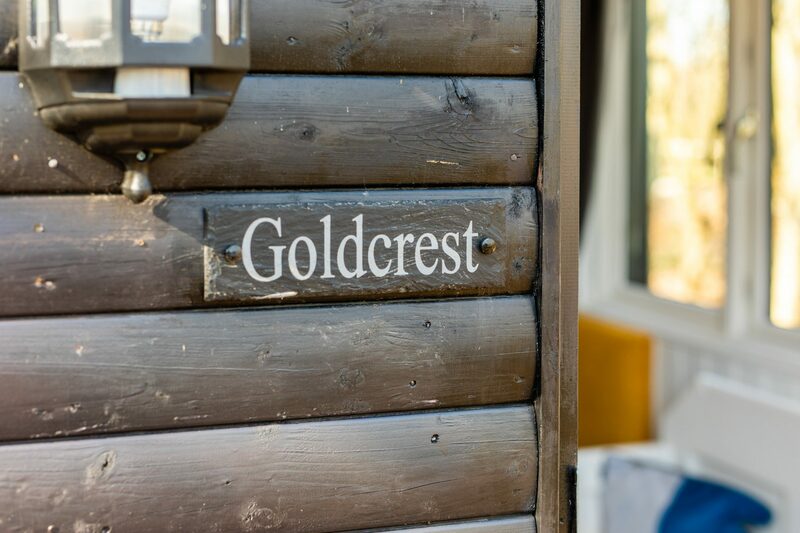 Outside there is a water supply and a communal sitting area, ideal for an evening get together or an alfresco meal. 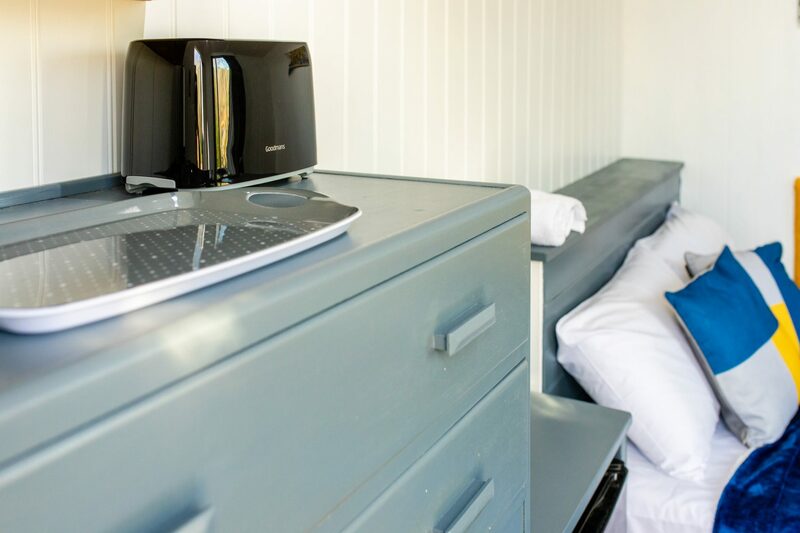 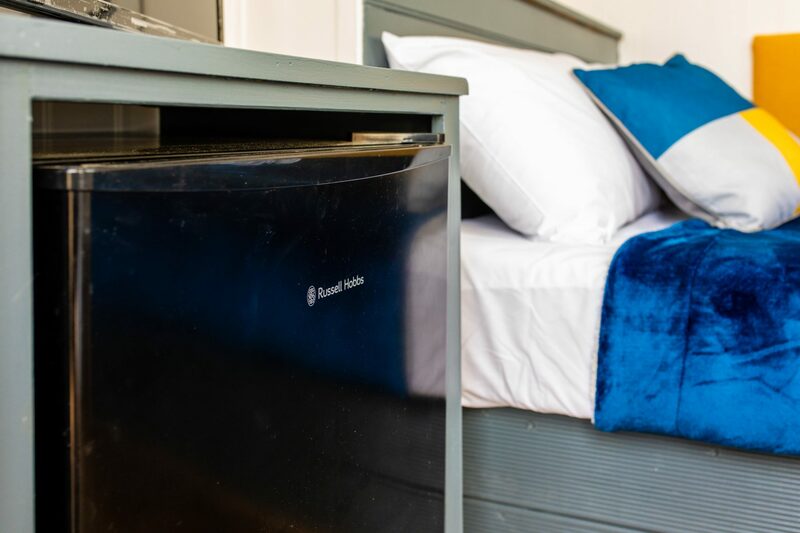 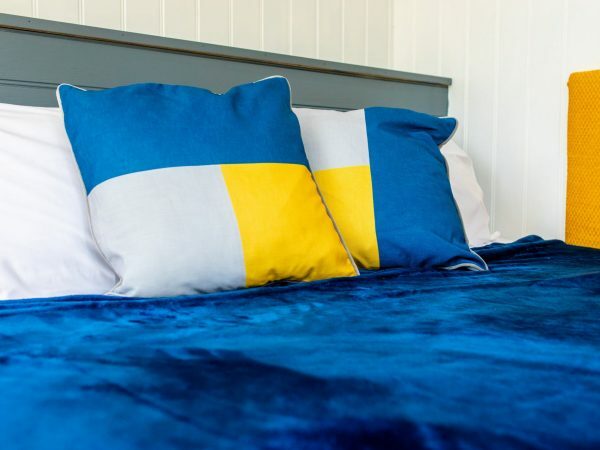 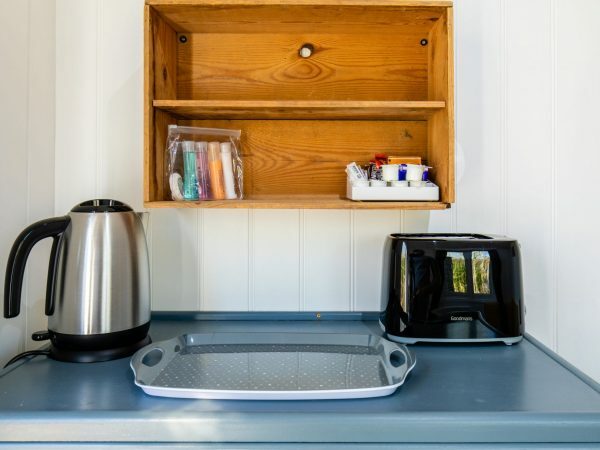 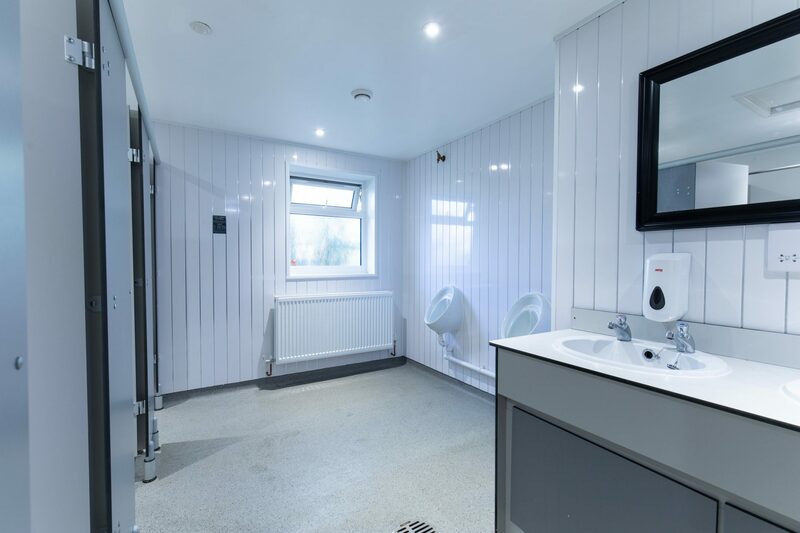 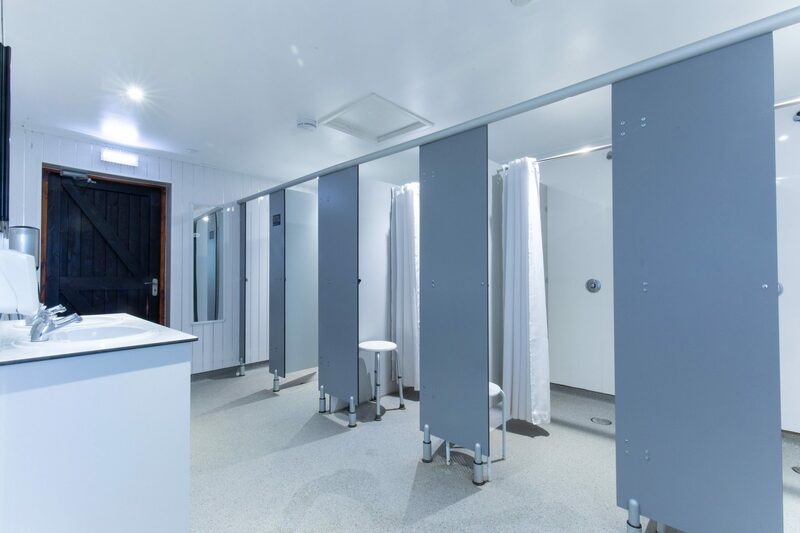 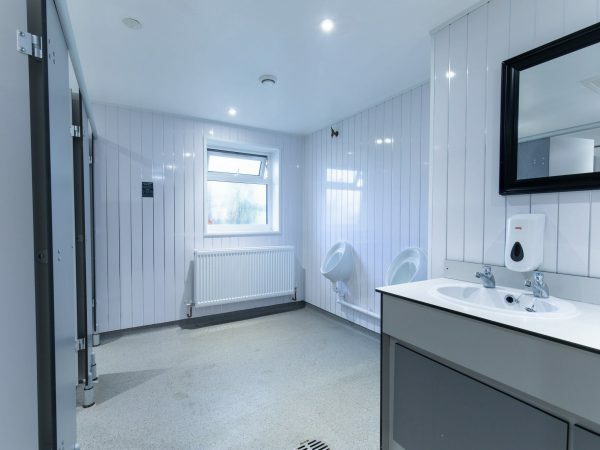 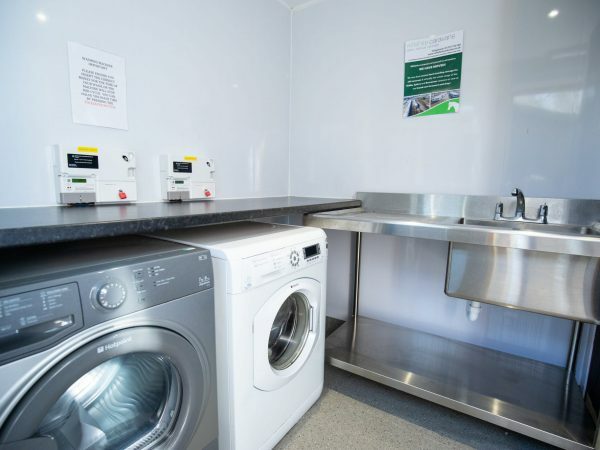 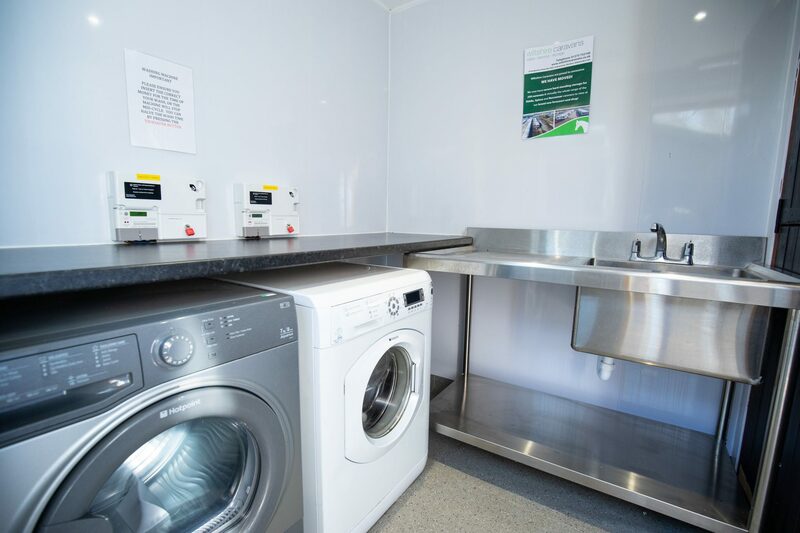 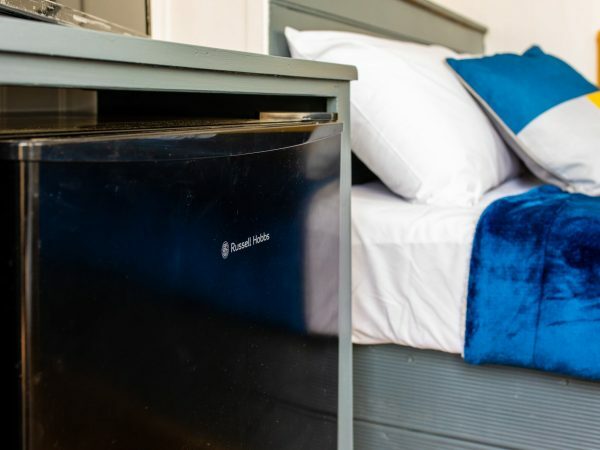 There is heating in each unit and mains electricity and WiFi is available. 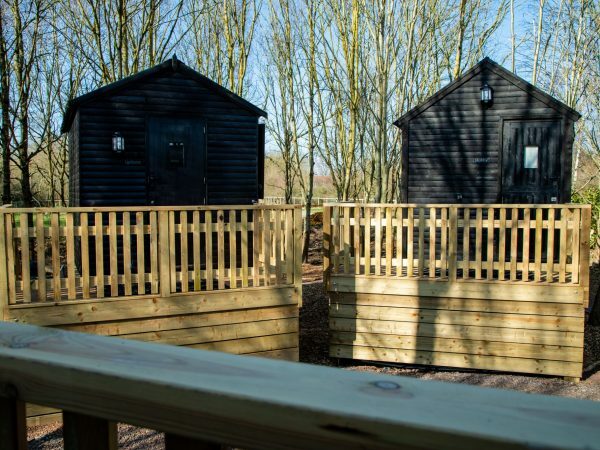 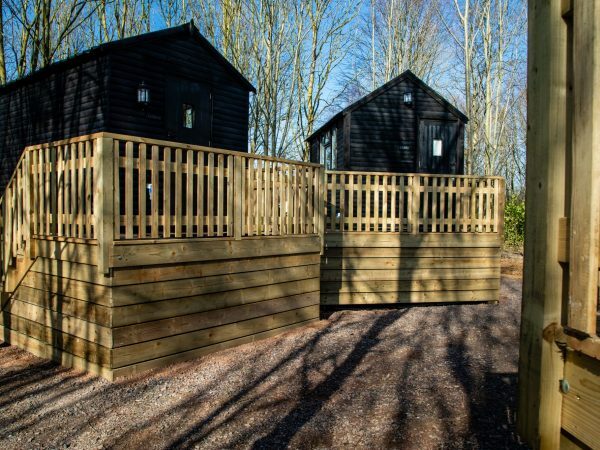 The huts are ideal for group getaways of up to 8 people, or for romantic couples who wish to do something different. 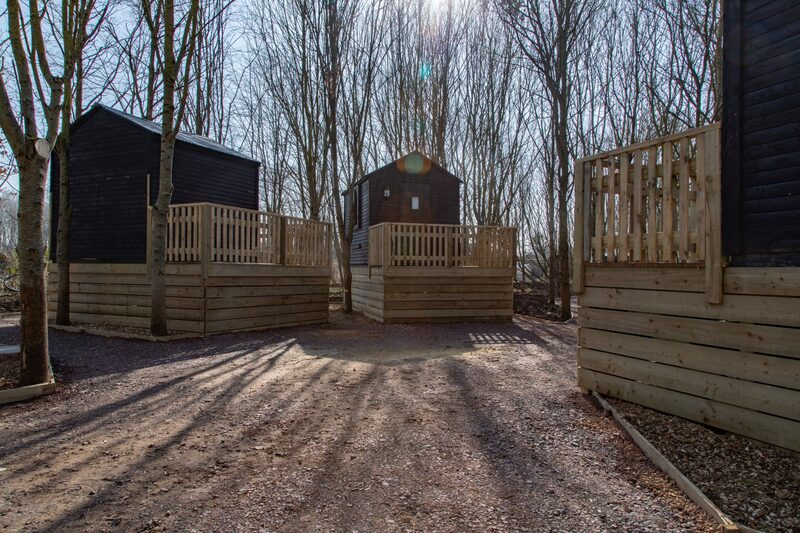 They can be booked as a whole and prices range from £75-£95 per night depending on the season. 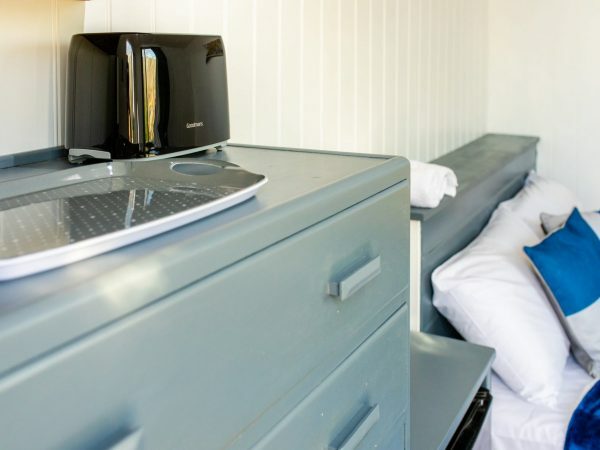 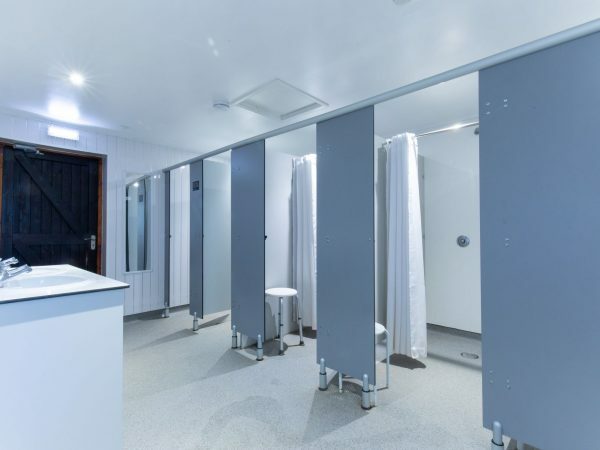 All linens and towels are provided, and the main shower block is only a stones throw away.